This gorgeous apartment building was completed back in 2005 and represents the style of a modern Greek villa. There are just 24 units here set of 7 floors, which gives The Cadogan Private Residence a feel of community. 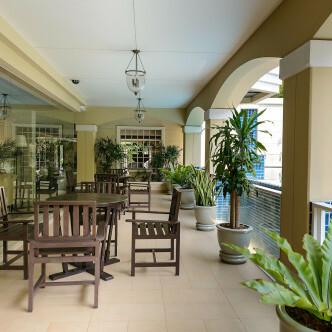 Each of the units here is fully furnished and features homely touches such as spacious balconies that overlook the impressive outdoor swimming pool. 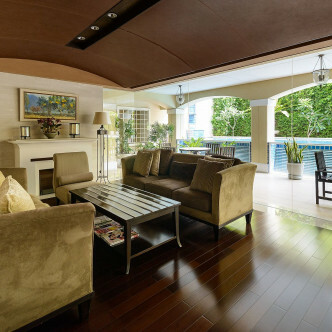 There are lots of great facilities for residents of The Cadogan Private Residence to make use of including a stunning elevated swimming pool surrounded by covered terraces where residents can gather. 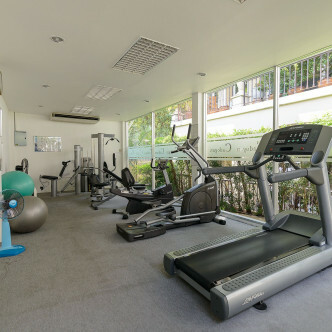 The kids are sure to have fun in the colourful children’s playground, while the adults can relax in the sauna, and Jacuzzi after making use of the modern fitness centre or playing a set or two on the tennis court. 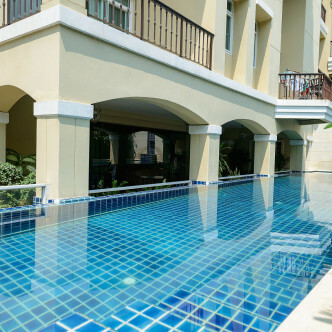 The location of The Cadogan Private Residence in the Phrom Pong district is extremely desirable, particularly as Phrom Pong BTS station can be reached in just a few minutes. This area of the city offers residents everything they need to feel at home, from Western supermarkets stocked with international staples to excellent restaurants and a large and lovely park to go unwind in.